We never get to eat Cinnamon Rolls around my house. In fact, I remember when I was a kid it was a special treat to get cinnamon rolls. We make them for holidays and special occasions. 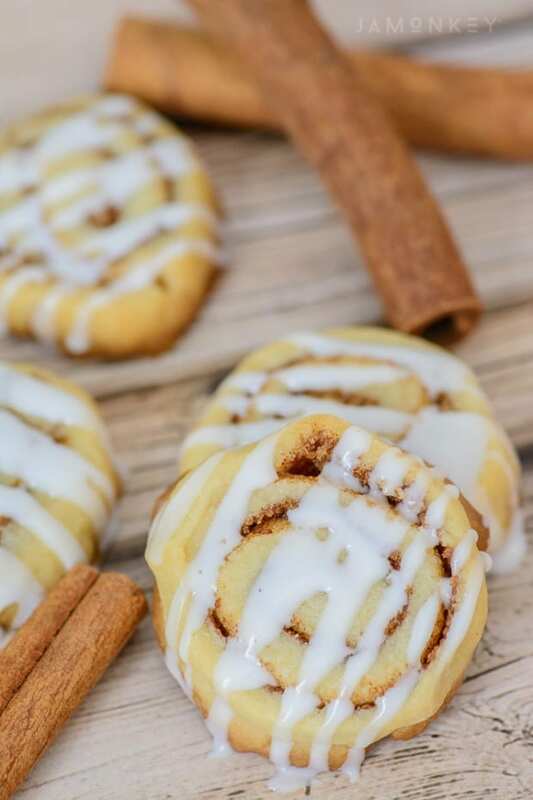 So these Cinnamon Roll cookies are a cute spin on that special treat. Today, I ran to the grocery store to get a few ingredients that I needed for my husbands birthday cake. While we were shopping my husband texted me for cinnamon rolls and thick cut bacon. Normally I would have told him no because we don't eat it on a regular basis, but since it's his birthday I decided to get them for him. My poor family is deprived of bacon because I don't like it. I've been told I'm a terrorist because I don't like bacon. My favorite response to not liking bacon came from my good friend, she said, “Have you tried it?” I just laughed. It's such a big deal to get bacon in my house that I surprised my husband one year for our anniversary by making him bacon roses. I literally woke him up making coffee and bacon, it was like watching a man commercial. He even snapped a picture and shared it with him friends, told everyone I was the best wife ever…My husband is so easy to please. On Christmas morning this year we had a huge breakfast with apple cinnamon rolls. We all had a double helping, because why not it's Christmas. 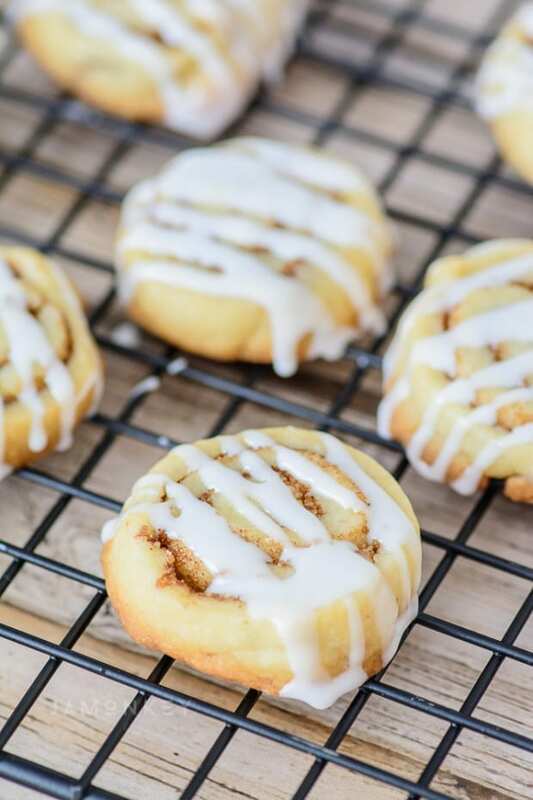 These Cinnamon Roll Cookies are a new spin on a classic. 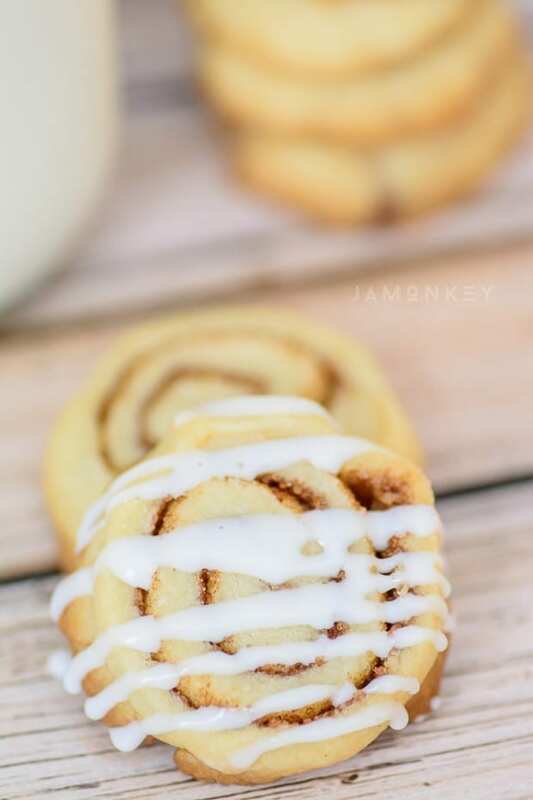 Rolling the cookie dough with a layer of cinnamon sugar makes them look exactly like mini cinnamon rolls. 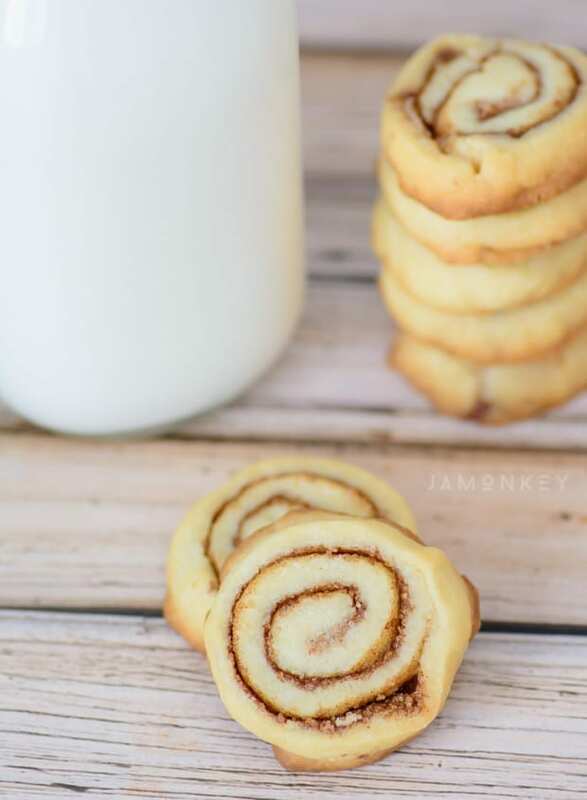 The icing you use on them is a little thicker than that on the baked rolls. Because you want it to harden, making it less messy to eat. Beat butter, sugar, salt and vanilla until light and fluffy, approx 2-3 minutes. Add the flour and mix until just combined (don't over mix). Take dough out, pat into a large ball and flatten into a disk. Wrap in plastic wrap and refrigerate for 30-45 minutes. On a thoroughly floured surface, roll the dough out into a 9x12" rectangle. 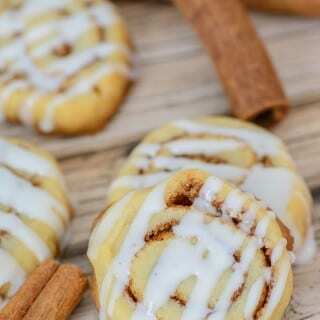 Brush the melted butter over the dough then sprinkle cinnamon sugar mixture on top evenly. Tightly roll the dough into a long log. Cut log in half and wrap both halves separately in plastic wrap. Freeze until firm, about 20 minutes. Remove one half if dough from freezer. Using a sharp knife, slice dough into 1/2" slices and place on prepared baking sheet. Bake for 12-14 minutes or until very lightly golden in top. Allow them to cool on baking sheets for 3 minutes before transferring to a wire rack to finish cooling. Repeat this process with the second log of dough. While cookies are cooling, prepare icing by whisking powdered sugar, cream and vanilla until smooth. Once cookies are completely cool, drizzle the icing on with a spoon or piping bag. how many does it make? ?